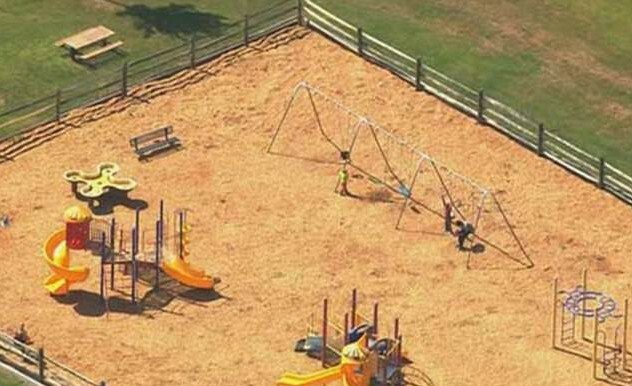 Woman Found Pushing Her Dead 3 Year Old Son On Park Swing For Hours. A 24-year-old La Plata, Maryland woman was found pushing her dead son on a swing for what might have been hours, according to police. Police received phone calls from concerned citizens that a woman, at Wills Memorial Park, had been pushing a young child in a swing for an unusually long time. It is believed that she may have been at the park all night, and the child did not have any visible signs of trauma, police said. When they arrived at the park shortly before 7 AM, they realize the boy was dead and his mother was pushing him back and forth on the swing. She has now been taken to the hospital, while an autopsy is set to determine the cause of her son’s death.